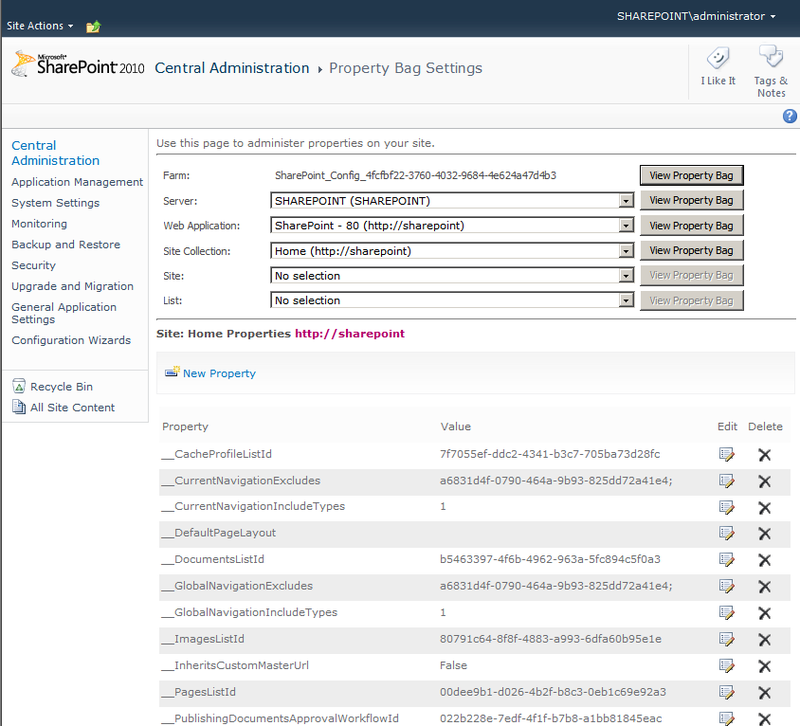 Frequently, SharePoint applications retrieve configuration settings at run time that were set when the application was installed or configured. 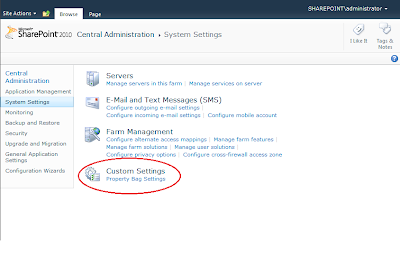 To do this, the applications must access the configuration information, which can be stored in several locations. 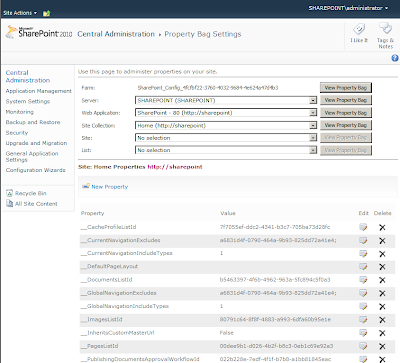 For example, configuration information can be stored in the Web.config file, the SharePoint configuration database (for example, values in the SPFarm property bag are stored in this database), or in a content database (for example, in an SPList object are stored in the content database). There are many challenges associated with these techniques. 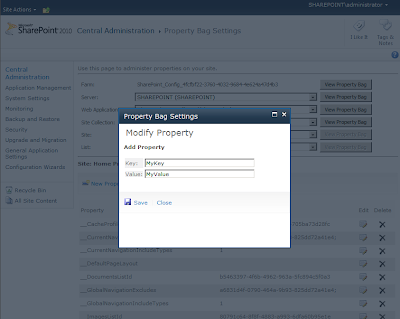 For example, improper use of the SPFarm property bag can corrupt the SharePoint configuration database. Also, although you can easily change the Web.config file with a feature installer, it is much harder to make changes to the Web.config file after a feature is deployed. I installed your solution in my farm and it's work very well for some web applications , but for another web application is throw an Access Denied, what wrong ? can you help me please ? I downloaded the .wsp file from http://pbs2010.codeplex.com/. What I want to know is how do I deploy this solution. Will it be deployed for the central adminstration or system setting. Please guide me on this. At the moment it is a Farm Solution. in the near future I will release another version for Site Collections. Nice post, thanks for that! - have published a post about reading and writing to site property bags without the codeplex feature on my blog. but i can´t find it, do you know where is ?? 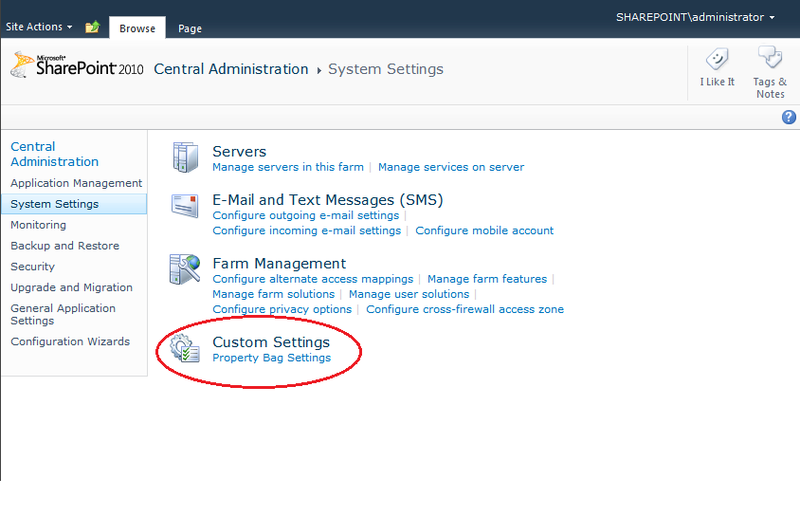 We've installed your SharePoint Property bag Settings feature on a 2010 Farm. 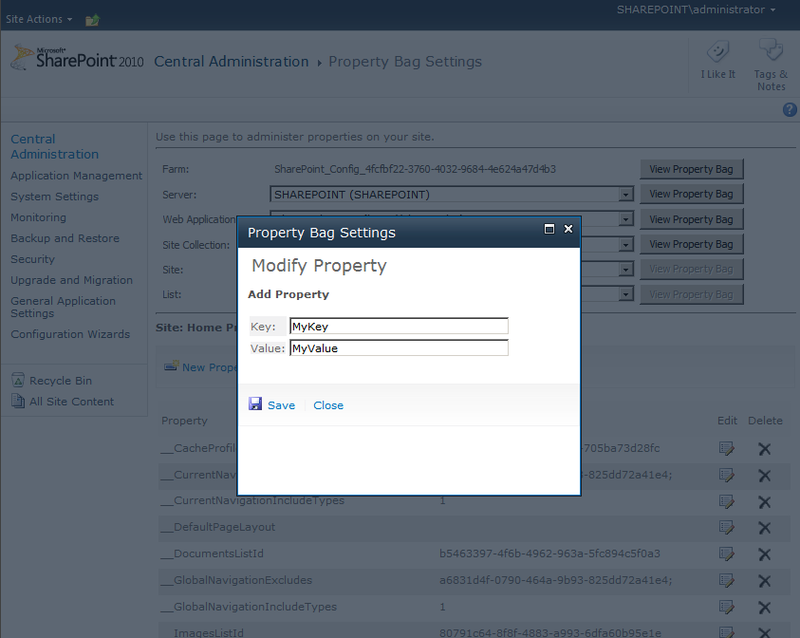 From the Site Collection I can easily add new Property bag values, but my colleagues, (Site Collection Admin)get an "Access Denied" error.